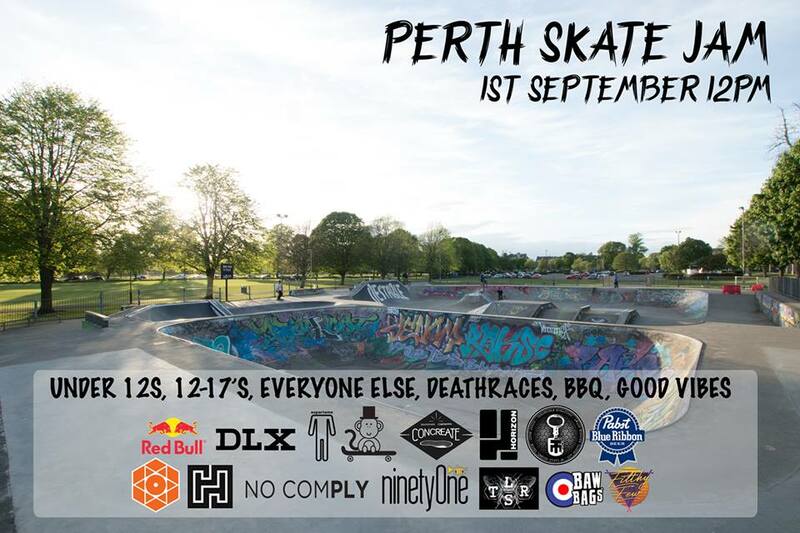 The 16th Year of Perth skate jams. Saturday 1st September from 12pm. Get along for some rad skateboarding, BBQ’s, music etc. Under 12’s, 12-17s, and other comps etc! Is there a place for a 40 year old fifer stepping on my board for the first time in 15 years? Has the weather affected the jam today?